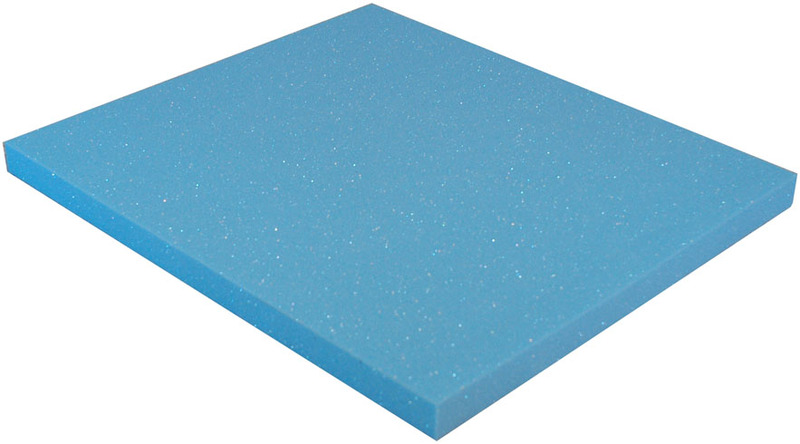 This page has links to a variety of accessories and installation supplies. 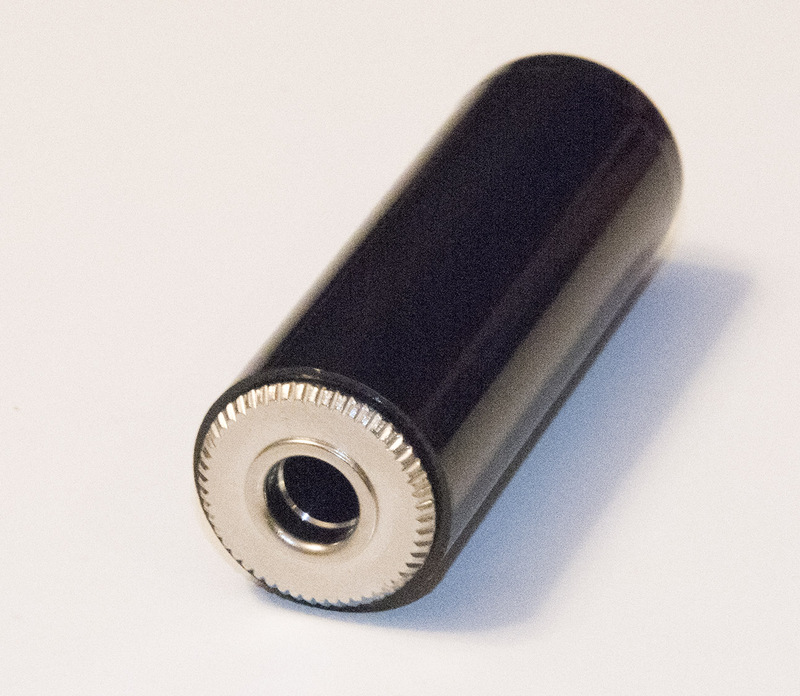 Battery Packs - 5V 5V Lithium Ion Battery for PDAs, flight recorders, digital video recorders, etc. 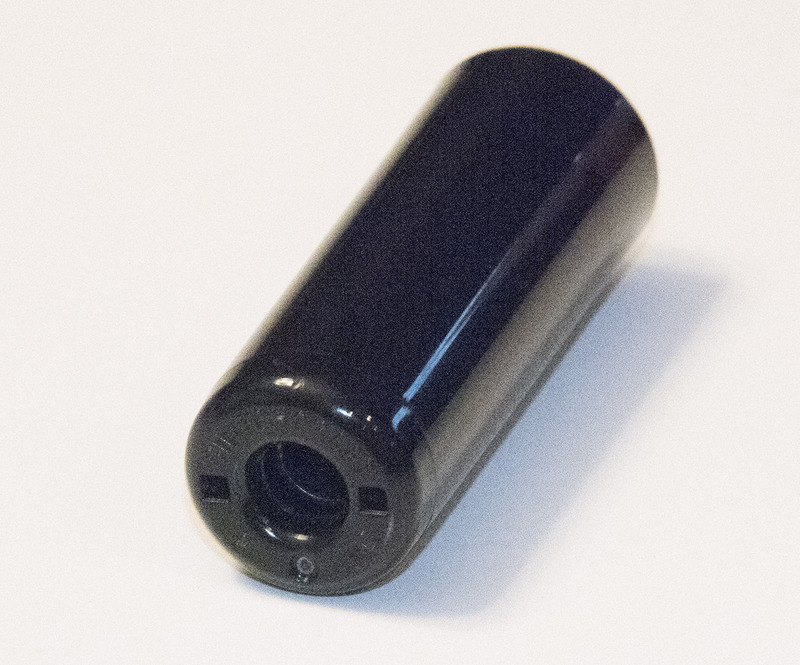 Charger-5V 5V wall charger for 5V batteries, Nano, Colibri II, Oudie, etc. DIN Connectors DIN Connectors - Used with battery boxes, microphones and speaker/junction boxes. Microphones Becker Boom Microphone, uses the same microphone head as the Filser boom microphone. 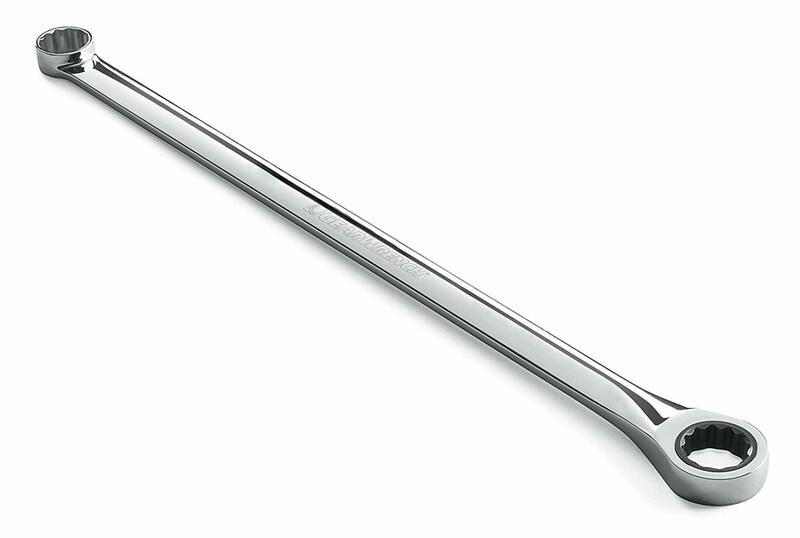 The Becker version is more expensive, but uses a larger, longer and more rigid gooseneck arm and includes a pre-wired DIN connector. Boom Microphone - Designed to be used with the XCOM radio. Low cost. Bowlus Maxi-Tape Bowlus Maxi polyethylene gap seal tape - with UV protectant to improve life in sunlight. 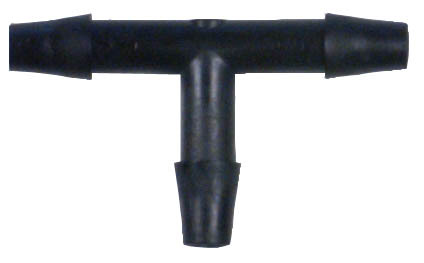 Winter Instrument tubing, metal tubing connectors and water traps. The metal connectors are very nice. 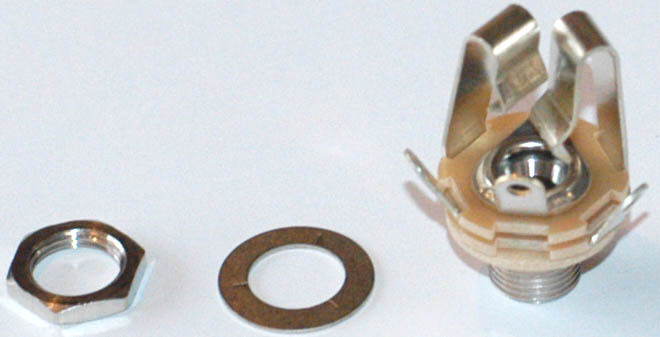 Unlike plastic connectors, they can be re-used. USB to Serial Adapters FTDI Chip FTDI Chip USB Serial Adapter - for connecting your soaring instrument or PDA to a PC that doesn't have an RS-232 serial port. This is a great, simple, 5V power supply / battery charger. It has standard rectangular USB ports. It can be used to power or charge a variety of devices - such as: cell phones, digital cameras, digital video cameras, iPads, etc. It works great for powering and/or charging Naviter Oudie, LXNAV Nano and LX Navigation Colibri II products - which all require 5V power. 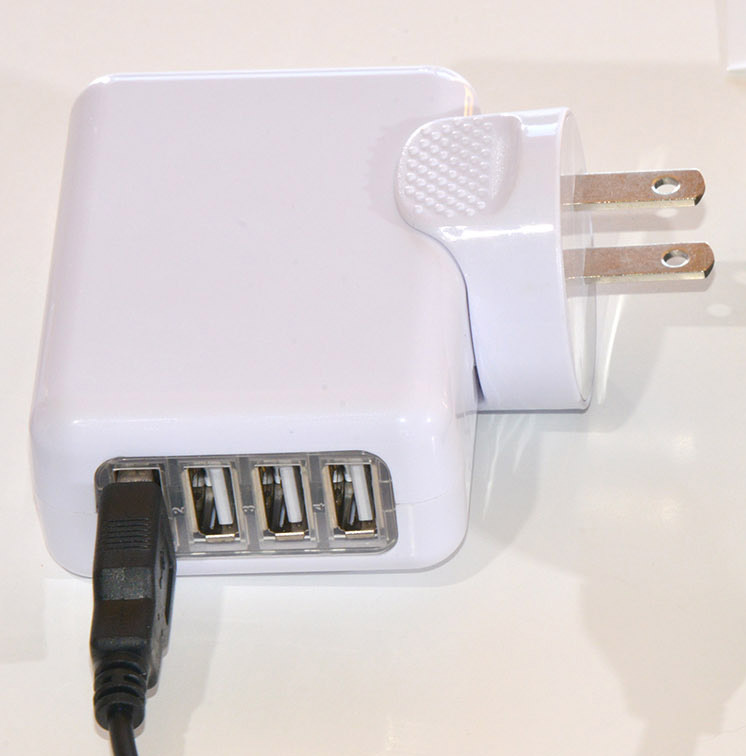 Note: Depending on availability, the supplied charger may have 1, 2 or 4 USB A output ports. The charger in the photos at right has 4 USB A ports. A USB to mini-USB or USB to micro-USB cable is used to connect to the desired device. The USB cable is not included. USB cables are included with most electronic devices which will work great with this power supply. Jack-Headphone Jack, Headphone, 2-conductor, 0.25"
As found on aviation headsets for the speaker channel. Sometimes referred to as "JJ034". Jack-Microphone Jack, Microphone, 3-conductor, 0.206"
As found on aviation headsets for the microphone channel. Sometimes referred to as "JJ033". 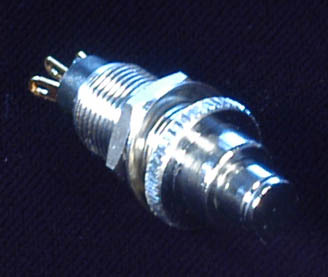 Plug-Headphone Plug, Headphone, 2-conductor, 0.25"
As found on aviation headsets for the speaker channel. Sometimes referred to as "PJ055B" or "M642/4-1". Plug-Microphone Plug, Microphone, 3-conductor, 0.206"
As found on aviation headsets for the microphone channel. Sometimes referred to as "PJ068" or "M642/5-1". A good, low cost mounting solution for your handheld GPS or PDA in stick-controlled sailplanes, airplanes, helicopters, ultralights, etc. 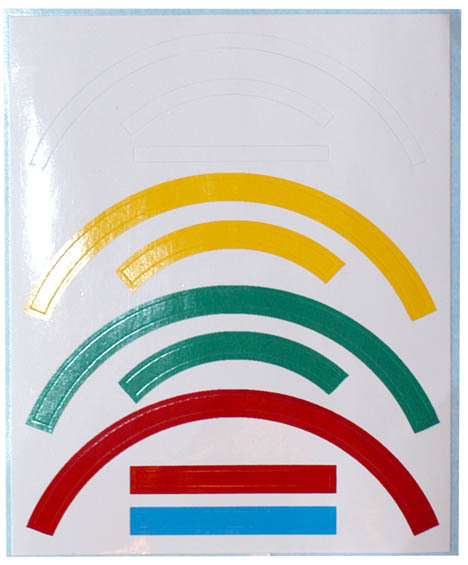 The display is visible at a glance without special mounts or permanent installations. 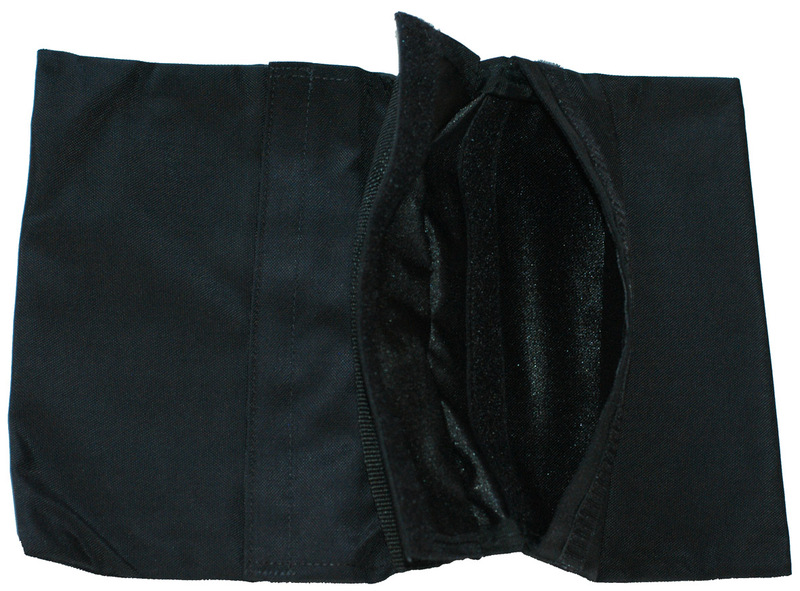 The tapered circular base conforms to your leg and is secured by a simple Velcro strap. Your electronic device is perfectly protected against vibrations. Instead of a GPS attach a clip board and you have a hands-free chart holder. All Velcro tape is included. 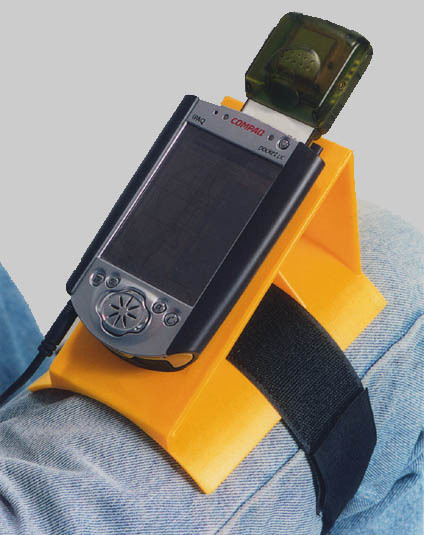 PDA and GPS shown in photo are not included. Patent pending. Why is the NavPad yellow and not black? In warm weather, the interiors of airplanes with canopies collect a great deal of heat. This applies to items inside the cockpit as well. 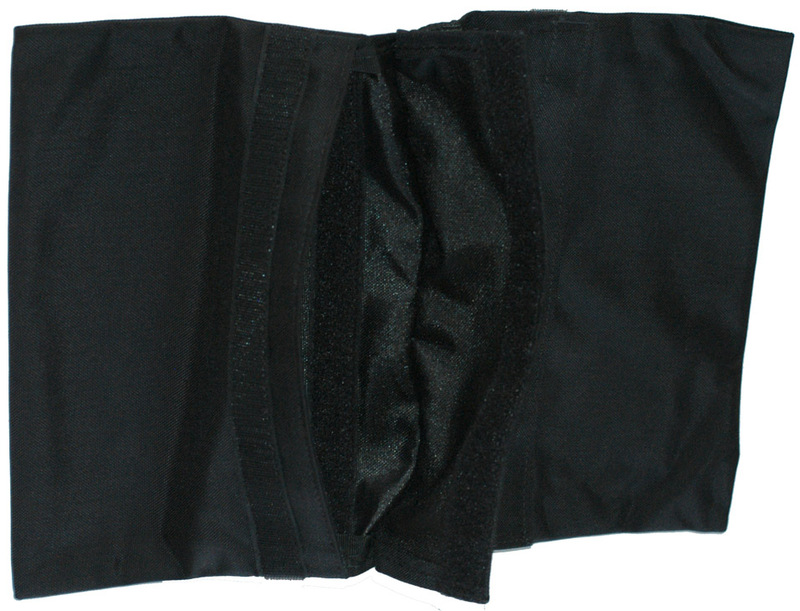 As a result, the kneepad or similar items become unpleasantly hot, especially if one is wearing shorts. As far as preventing this heat absorption is concerned, white would be the best choice. Unfortunately, it isn't very attractive. The next best choice is yellow, which we think is the best compromise. 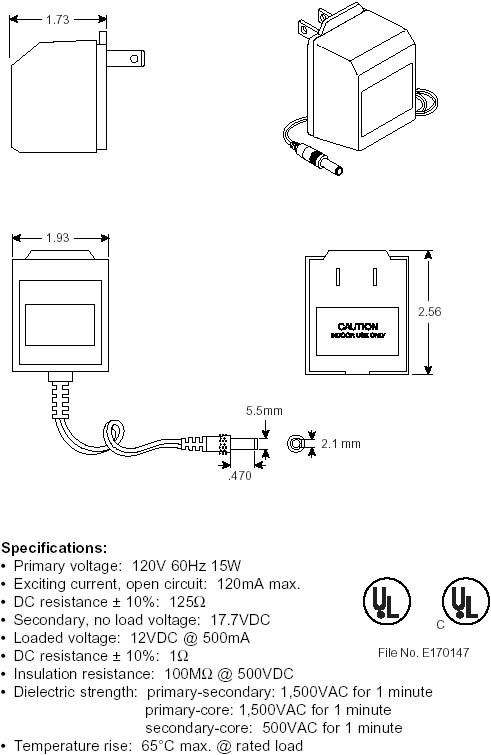 Wall plug 12V power supply. 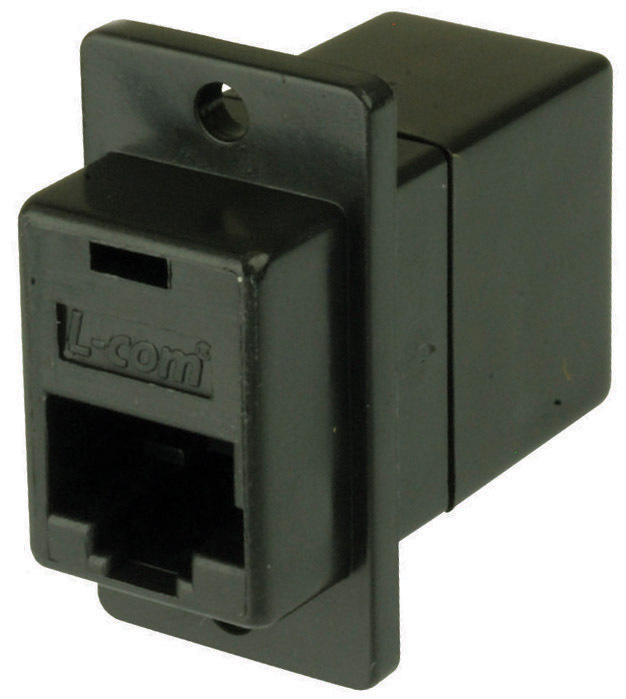 Input: 110 VAC, Output: 12V, 500 mA, Connector: 2.1 x 5.5 mm DC power plug. 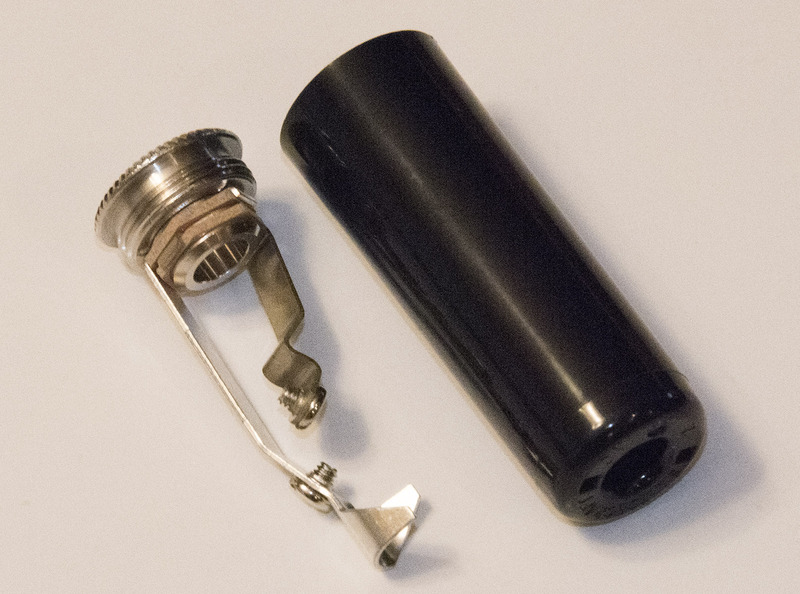 The same the RJ adapter used in the CAA-127 mounting plate. 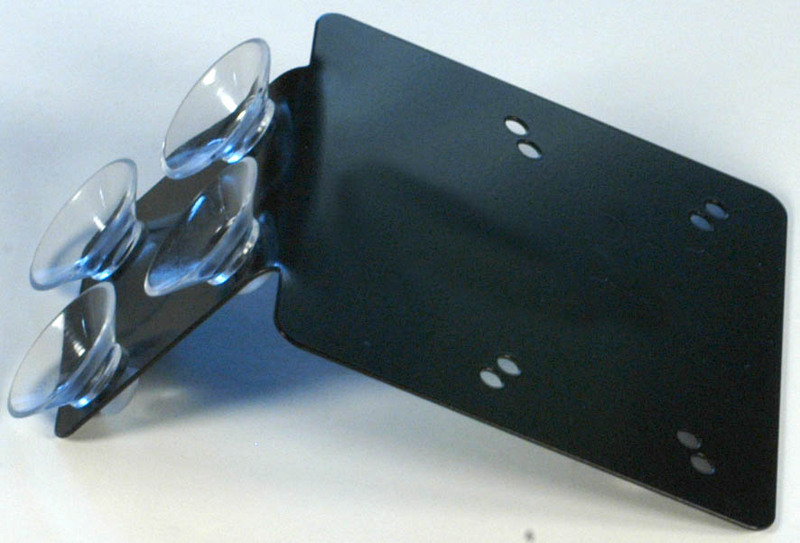 It does not include an aluminum mounting plate. Female RJ12 receptacles with 6 conductors on both ends. The connections are "straight-through" with pin 1 to pin 1, etc. 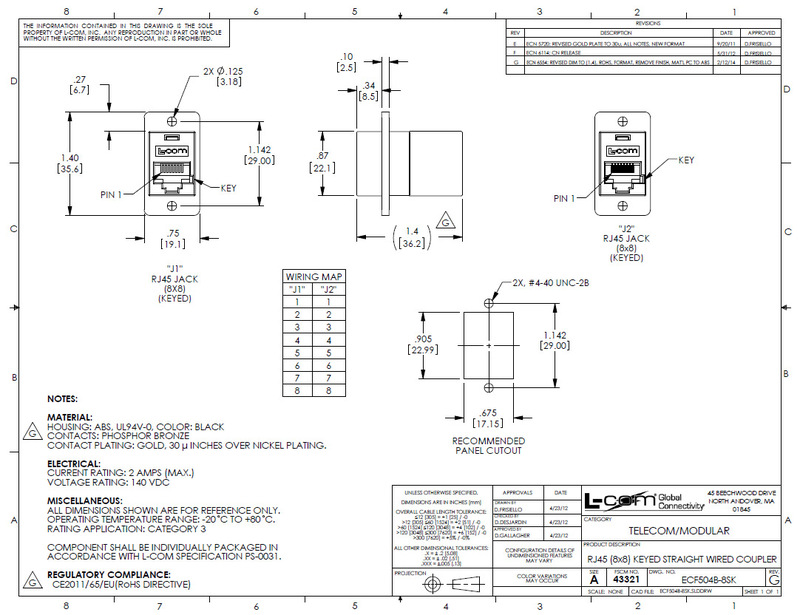 Simply cut a 0.675 x 0.9 inch rectangular hole in the instrument panel and mount the connector with the flange on the back of the panel. Secure with #4 or #5 screws and nuts (not included). 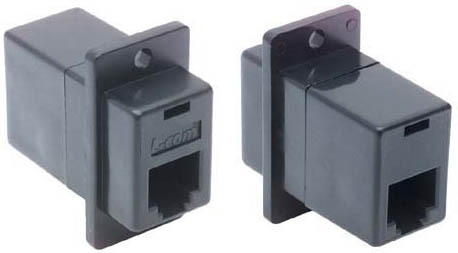 Female RJ45 receptacles on both ends with 8 conductors. The connections are "straight-through" with pin 1 to pin 1, etc. 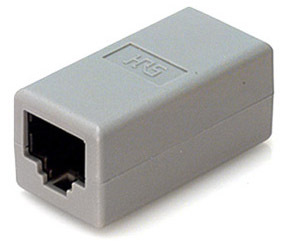 Works great with a Cumulus-Cable-RJ45-RJ45-0p5 straight-through RJ45 extension cable. This version is no longer available. However, the same switch with wires is available here: Dittel PTT. This is a very nice metal push-to-talk button for use on the control stick. It is the same unit supplied by Walter Dittel and Filser. I have seen many low cost push-buttons used in gliders - they don't last very long. This is an industrial switch that will last for years. It has a very positive "click" so it is obvious when it has transitioned from off to on. 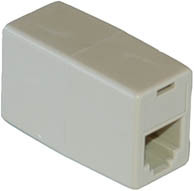 Includes 3 contacts so it can be wired as normally-on or normally-off. Most radio installations require that it be wired as normally-off (current flows when it is pressed). 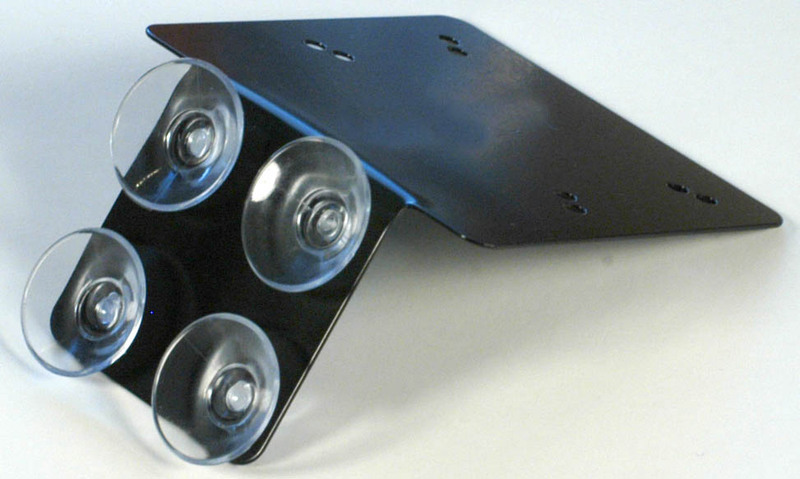 This unit is designed for mounting a small GPS antenna to a car windshield but it also works great on a sailplane canopy. 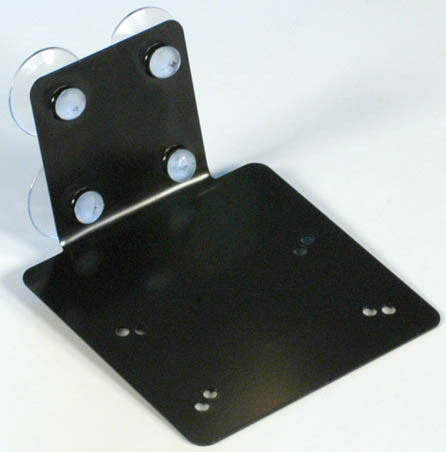 It is a thin steel plate with mounting holes for a variety of GPS antennas. 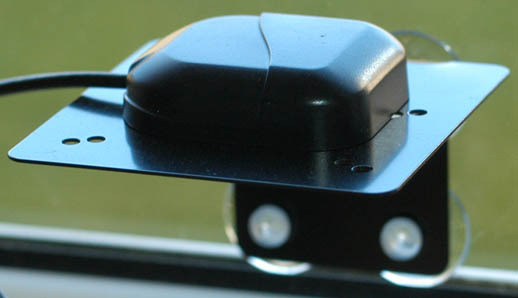 It includes 2 small mounting screws for use with the GPS antenna. 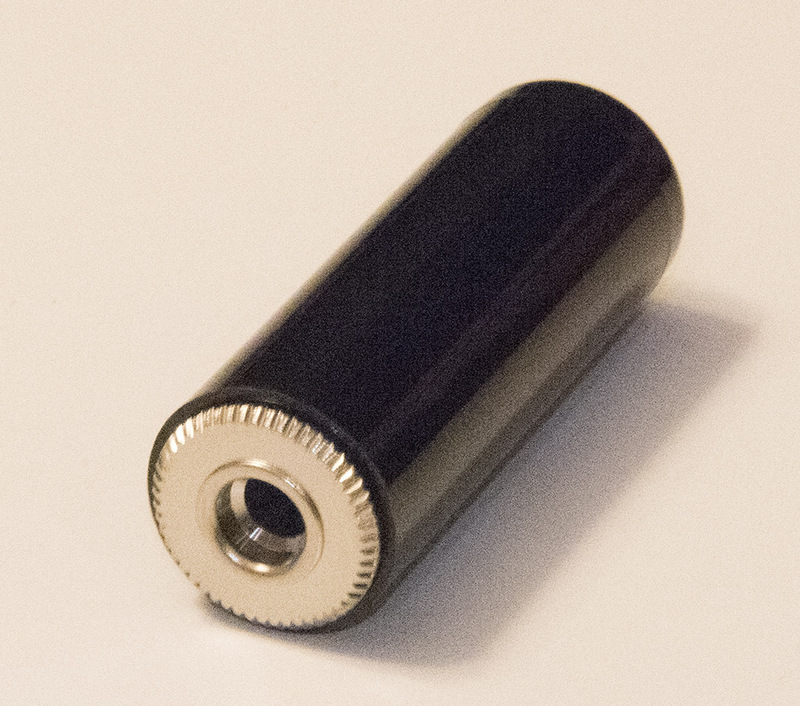 Many GPS antennas have built-in magnets which work great without any need for mounting screws. Velcro would also work great. It is easy to bend the unit to the desired angle. The 4 suction cups hold onto the mounting surface well - provided you clean the surface and wet the suction cups before mounting. 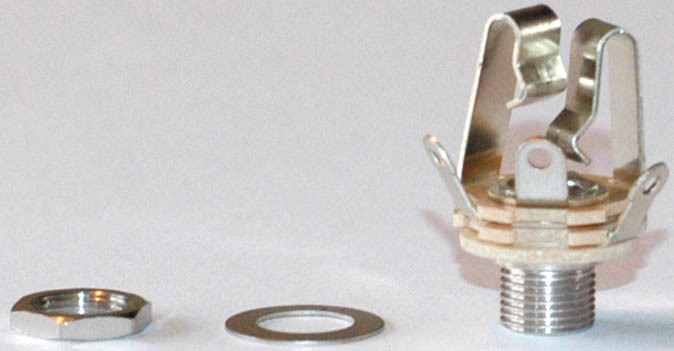 This unit is designed to hold a light load such as a GPS antenna. It is probably not strong enough to support anything much larger. EW Avionics microRecorder antenna - Velcro mount? EW Avionics microRecorder unit and antenna - Velcro mount - This has not been tested yet. 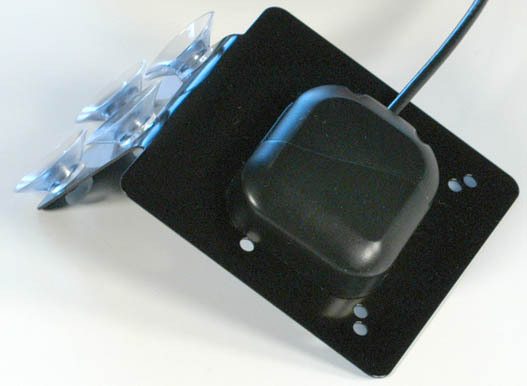 The mount and suction cups may or may not be strong enough to hold the logger and antenna. Note: Mounting the microRecorder in direct sunlight in a closed cockpit on a hot day may cause the unit to overheat and shut-down. 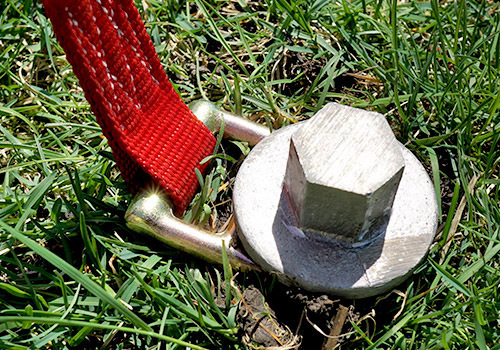 Secure - Goes deep and doesn't disrupt surrounding soil on the way in. Compresses surrounding soil by pushing it slighly outward. Spiral-disc anchor products loosen the surrounding soil on the way in. The entire design enables Ease-of-Use for even brief airport stops. 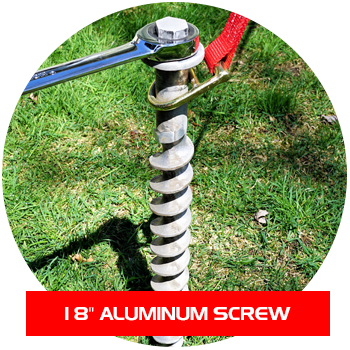 The three screws can be quickly installed and removed with a 1” ratchet wrench, socket wrench or impact wrench (not included). 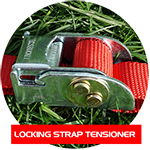 The straps are easily attached to your aircraft, tensioned and locked in place in just seconds. No knots, worn ropes or frayed webbing. 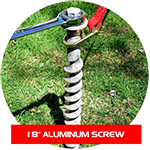 A long ratcheting wrench or electric impact wrench for driving the Big-Screw EZ Tie-Down into the ground is required and not included. The harder you pull, the more it grips the earth. 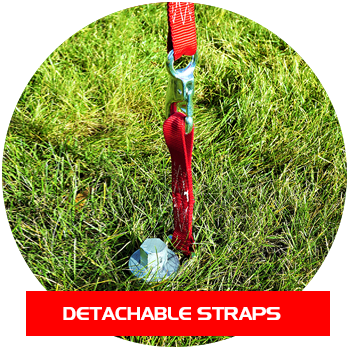 The only tie down with a mechanical advantage. 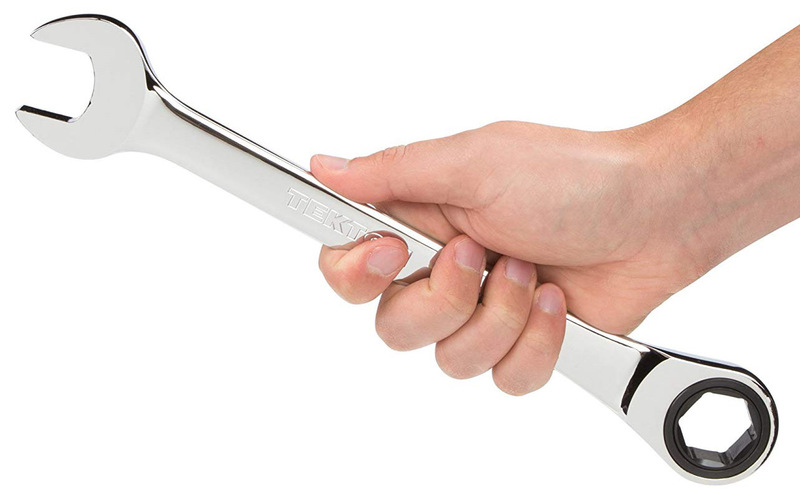 Designed exclusively for aircraft. 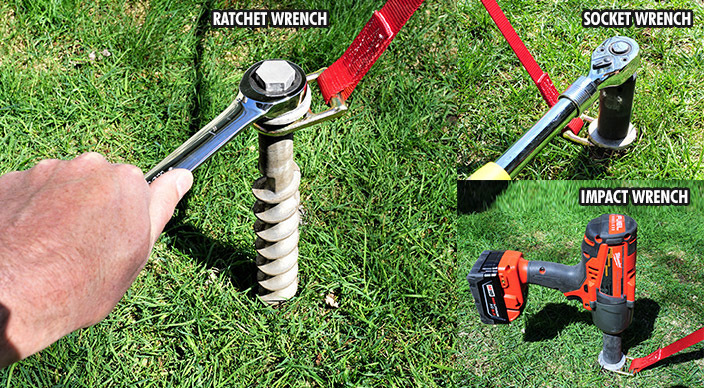 Protect your investment with this Revolutionary new aircraft anchoring system. 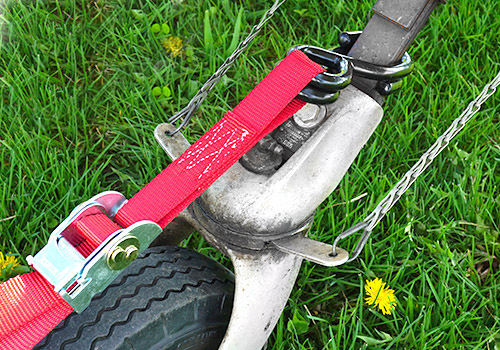 For many years I have used screw type anchors for securing my glider trailer. They are very time consuming to install and remove and physically draining. I am now using The Claw. It installs in a very short time and is also extremely easy to remove. 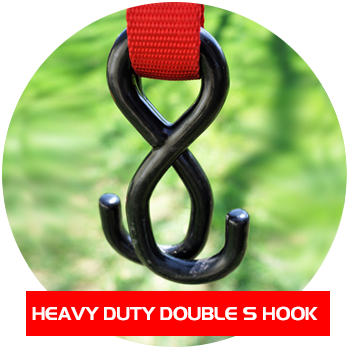 Note: Not recommended for long term use because any temporary anchor will loosen over time. Designed for use with the load pulling straight up. The capacity is reduced dramatically when the load is applied from the side. Also, this system will work differently in different types of soil. Obviously, heavy clay or soil with turf on top is better than sandy or rocky soil. 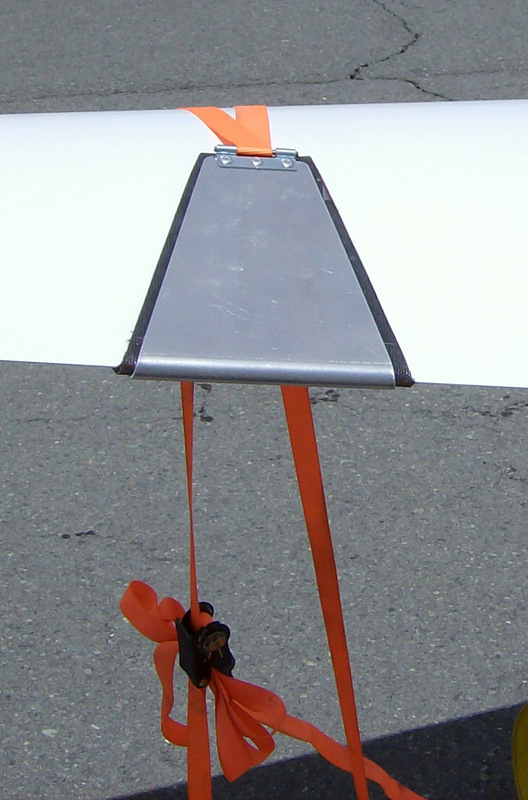 The JJ Wing Tie Down Kit is a simple, yet effective solution for anchoring your wings to the ground. It is especially helpful if your glider does not have tie-down fittings. As you can see in the photo at right, the system uses a padded aluminum wing saddle and tie-down ratchet straps with 2 hooks. 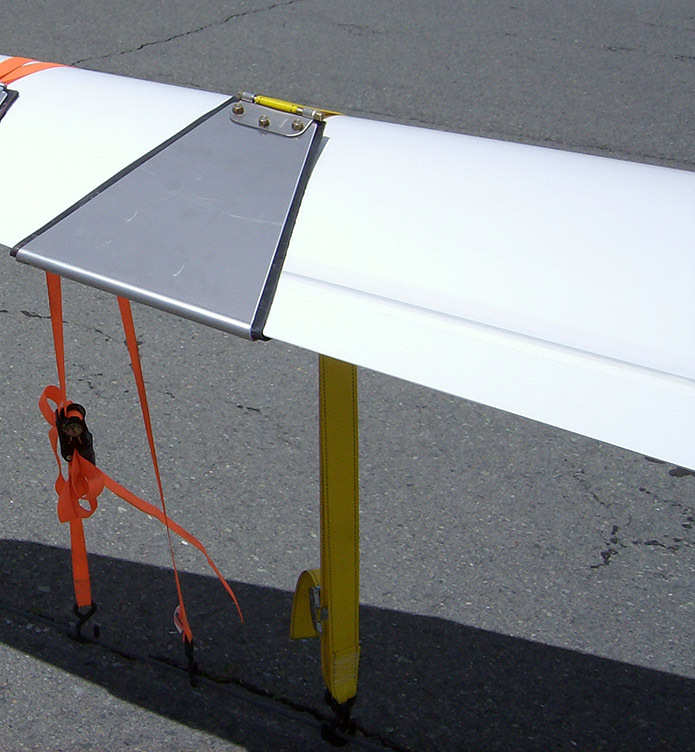 The wing saddle fits over the trailing edge of the wing and the straps run around the leading edge of the wing and down to the hooks for attachment to an anchor. The system is designed to be small and lightweight - so you can take it along with you on your cross-country soaring adventures. This version is for use mainly with single-seat gliders. For 2-seat gliders and motorgliders - see the heavy-duty version below. 2 tie-down ratchet straps with 2 hooks each, Width: 1 inch, Length: 15 feet, Breaking strength: 1500 Lb, Working Load Limit: 500 Lb. 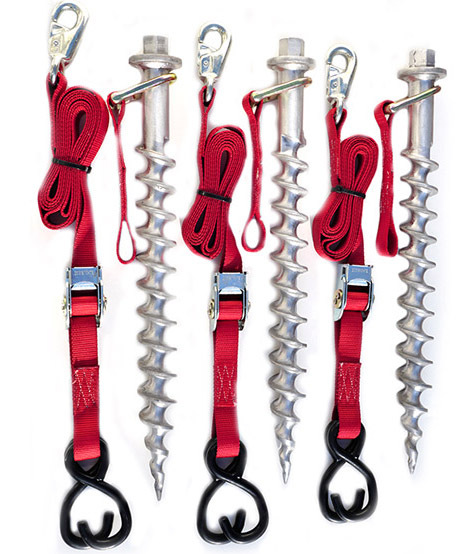 Anchors or spikes or stakes for securing the system to the ground. 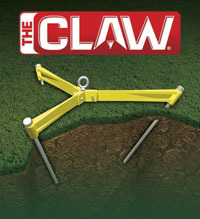 For that you may want to consider the CLAW system. 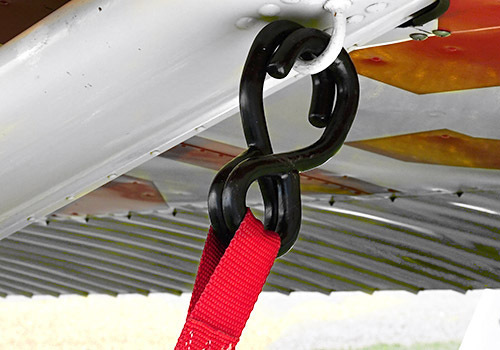 The JJ Wing Tie Down Kit is a simple, yet effective solution for anchoring your wings to the ground. 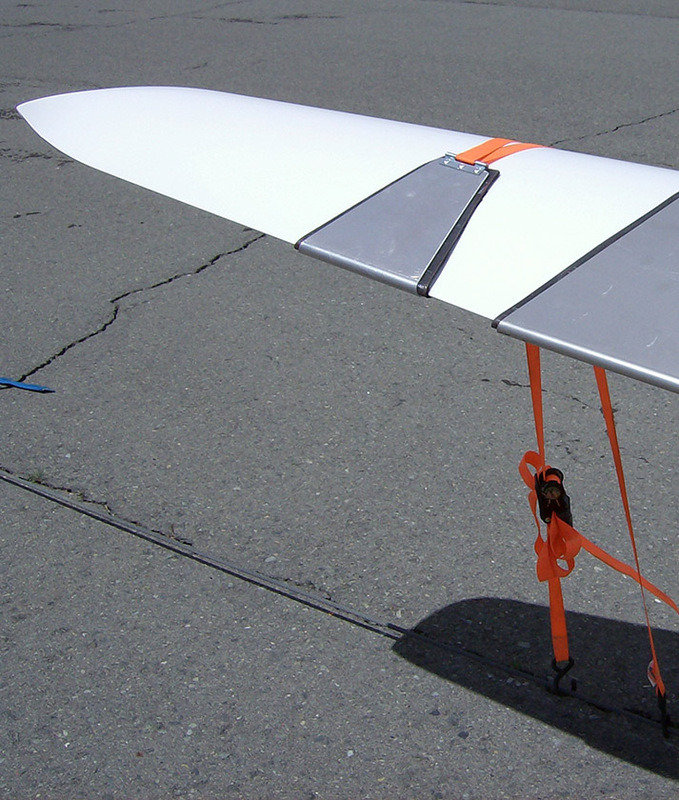 This heavy-duty version is designed for use with 2-seat gliders and motorgliders. It is especially helpful if your glider does not have tie-down fittings. As you can see in the photo at right, the system uses a padded aluminum wing saddle and tie-down ratchet straps with 2 hooks. 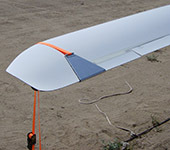 The wing saddle fits over the trailing edge of the wing and the straps run around the leading edge of the wing and down to the hooks for attachment to an anchor. The system is designed to be small and lightweight - so you can take it along with you on your cross-country soaring adventures. 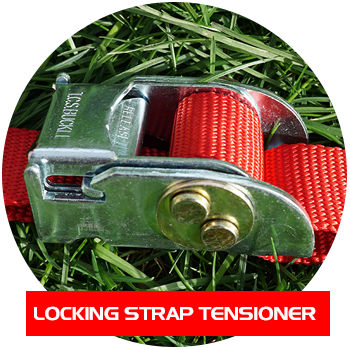 This is a very nice tie-down strap with a padded foam cover over part of the strap and a metal cam buckle. 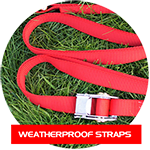 It is perfect for use as a very secure tie-down strap for securing a glider. 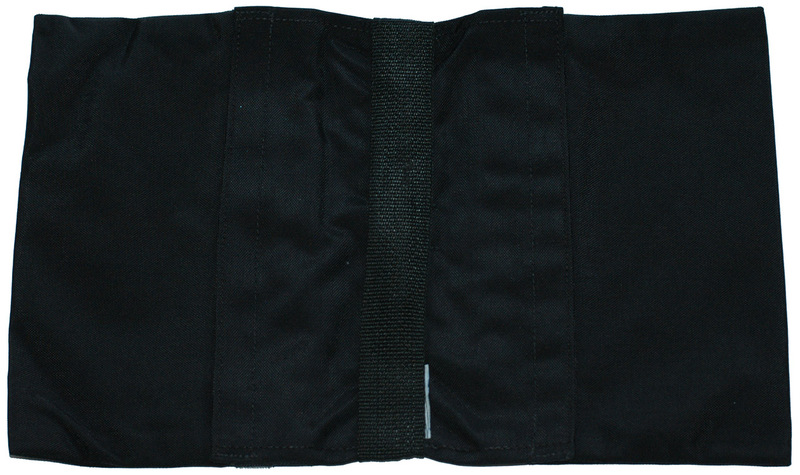 The padded area is soft to keep the strap from making scratches or marks on your glider. However, I can't guarantee that it will never make any marks - wind and sand are tough adversaries. The padded area is long enough to allow it to be wrapped around a wing tip or the tail of the glider 1 1/2 times (see photo at right) for a secure hold. 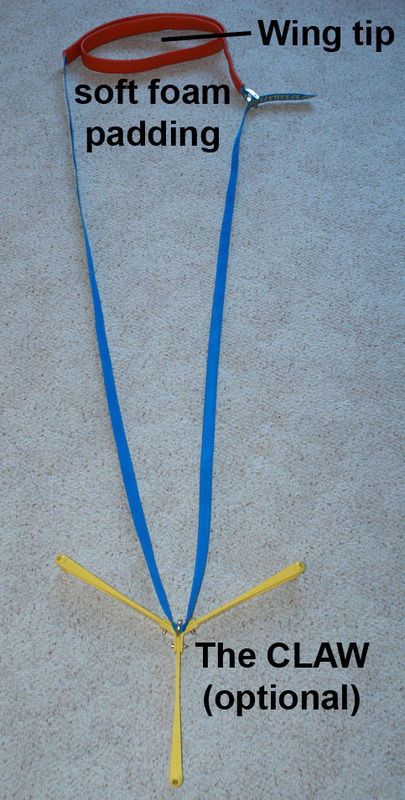 A complete set of 3 straps and 4 anchors would be ideal for most gliders with one on each wingtip (with a wing stand under each tip near the strap), one around the tail of the glider, and a short rope or strap to a tow-ring for securing the nose of the glider. 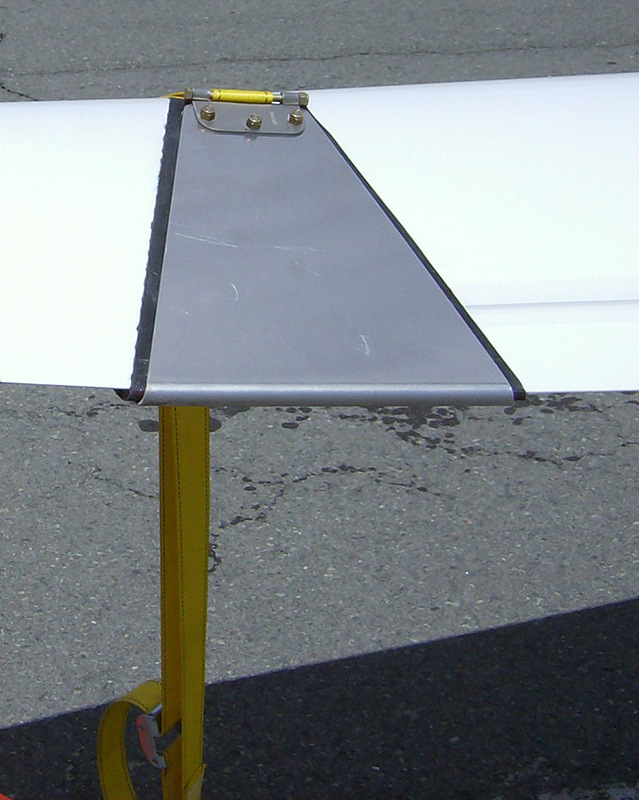 Note: When using the straps to secure your glider's wing tip, be sure to use a wing stand under the wing near where the strap is used. Note: Do not wrap the strap around any control surfaces such as ailerons of flaps. 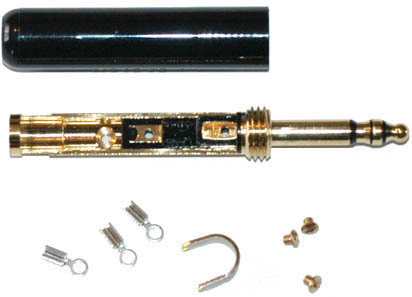 You save $19.95 when you order this kit - as opposed to ordering the parts individually. 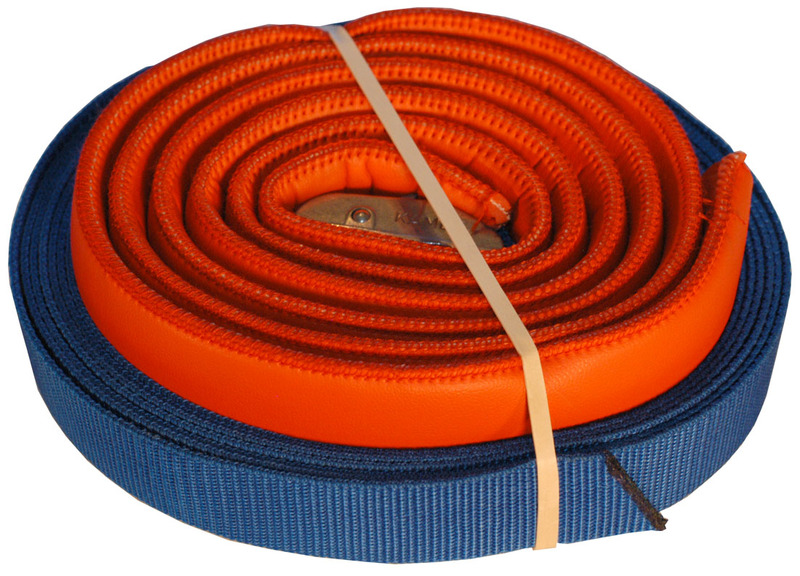 It makes a very strong and reliable temporary tie-down system. 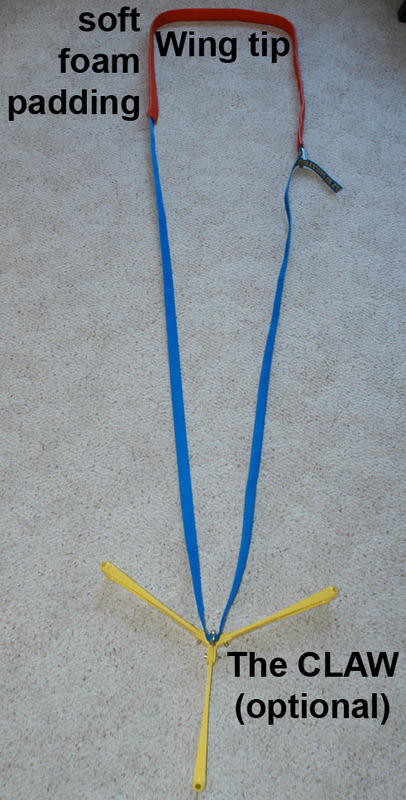 You can also take one strap and one CLAW anchor (and a hammer) along with you in the glider for use during an off-airport landing. They could be used to secure one wing low to the ground with that wing pointed into the wind. 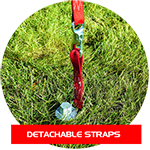 This kit t it has only 3 straps and 4 anchors - the ideal for a secure setup for a glider. One complete CLAW-Kit-3 and one CLAW-1 for a total of 4 CLAW anchors - One for each wingtip, one under the tail and one for use under the towhook. 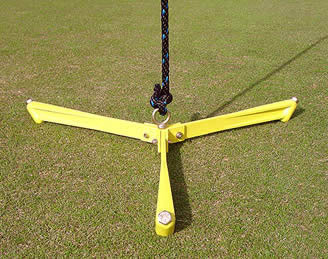 Note: The rope that is included in the CLAW-Kit-3 could be used together with a TOST or Schweizer tow ring to secure the nose of the glider to the CLAW anchor. 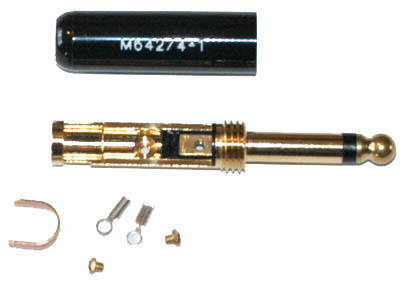 Barbed tube connector works with 3/16" tubing or 5 mm (inside diameter) tubing. 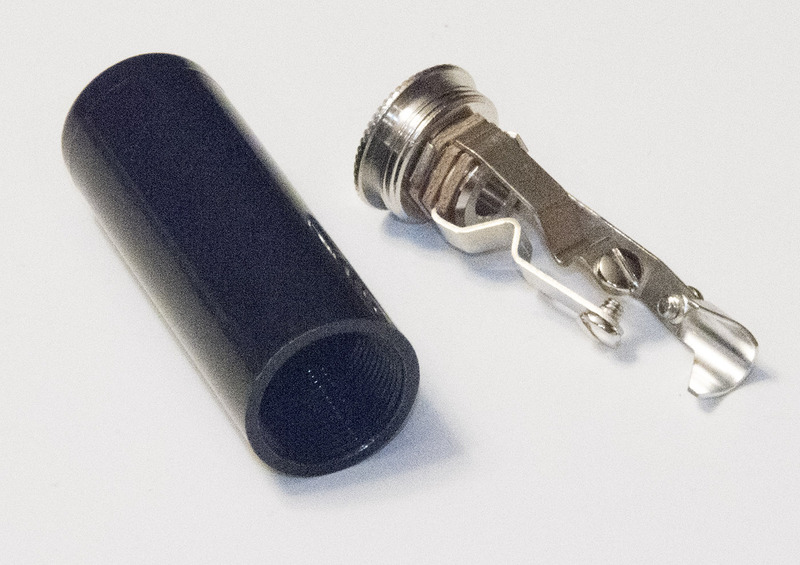 Works with 3/16" tubing or 5 mm (inside diameter) tubing. 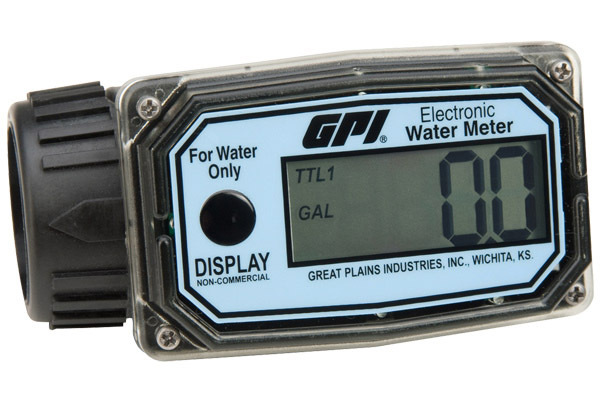 This digital flowmeter kit makes it easy to precisely fill your glider's waterballast tanks to the desired volume. 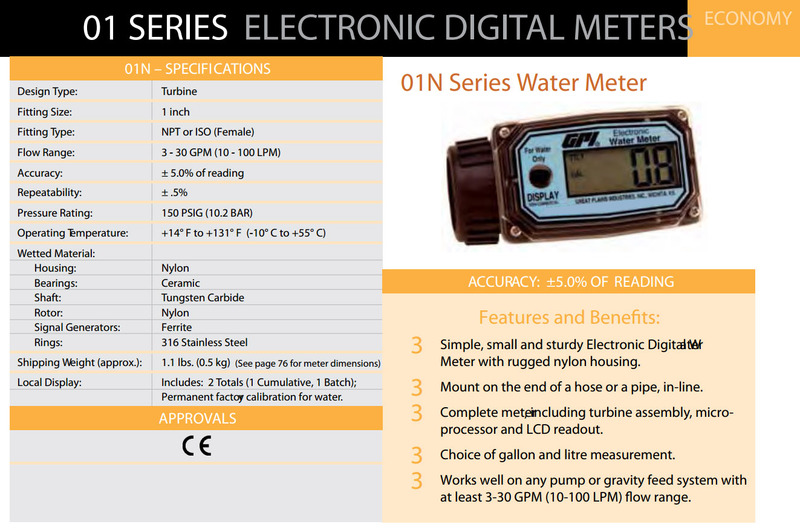 It features a large, easy-to-read digital readout with a resolution of 0.1 gallon. The reset button can be used to zero the flowmeter before use. It has a very simple one-button user interface. 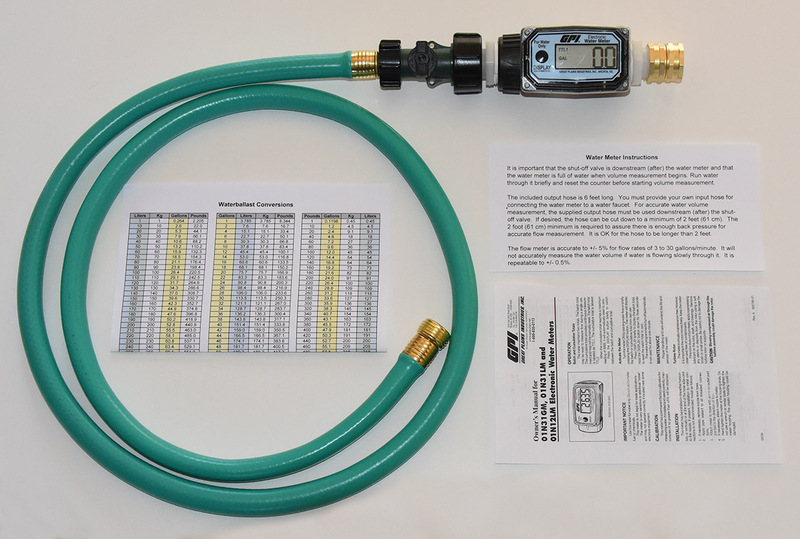 This is a complete kit - ready to use - just connect it to your standard 5/8" garden hose. The display automatically shuts off when not in use to conserve battery power. Important Note: Like all flow meters of this type, it is only accurate with medium to high flow rates of 3 to 30 gallons/minute (10 to 100 Liters/minute). It does not work well with low flow rates. I tested the flow meter and found that it was accurate within about 5%. During a recent test, I metered out 5 gallons and the meter read 5.1 gallons. It was very repeatable. It is important to setup the unit as shown here with the water supply connected to the meter, then the valve, then at least 2 feet of output hose. 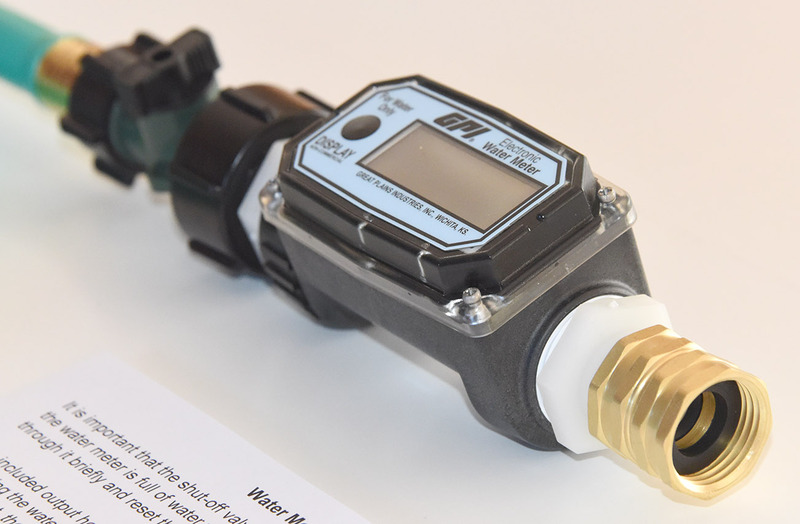 It is important that the shut-off valve is downstream (after) the water meter and that the water meter is full of water when volume measurement begins. Run water through it briefly and reset the counter before starting volume measurement. Note: Because the meter has pipe thread connections, it is not easy to avoid minor leaks. We use pipe thread tape to seal the connections as well as possible, but the units still drip a little. It does not affect the accuracy of the meter. To zero the counter: Hold the button for about 3 seconds. This conversion table was created to make it easy to calculate the required number of gallons for a given number of liters, kg, or pounds of water. 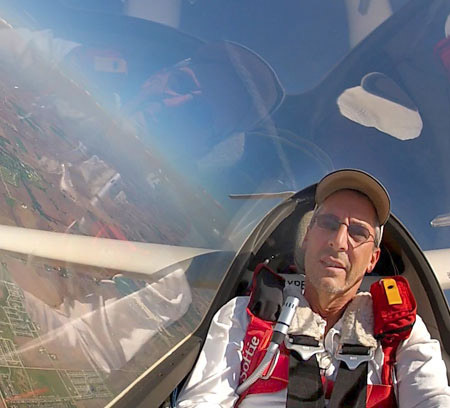 I have done my best to make them as accurate as possible, but it is the pilot's responsibility to verify that they are correct and the glider is loaded properly. 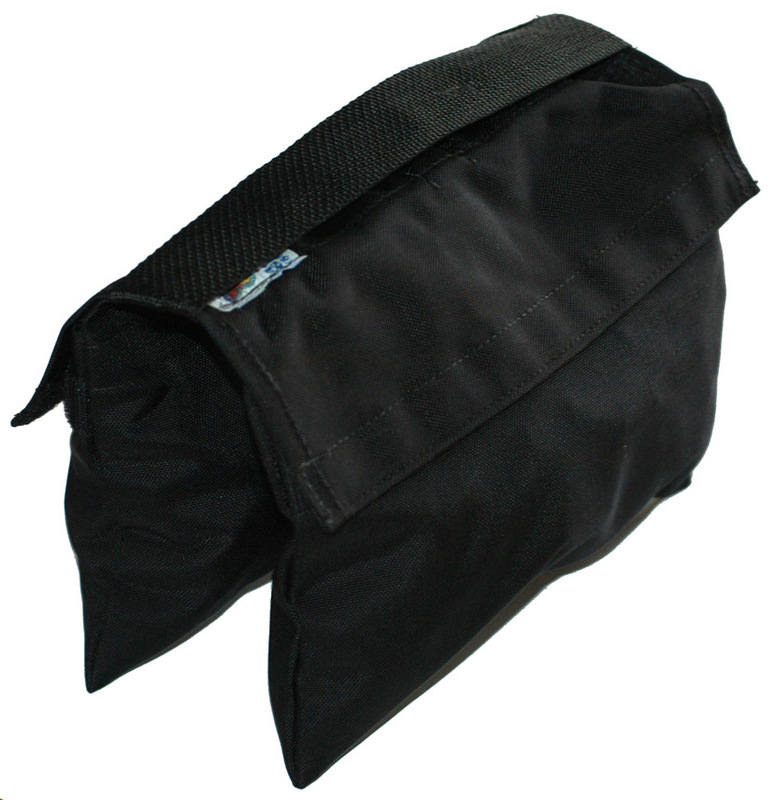 This weight bag is perfect for holding the wingtip of your glider down while on the ground. It is filled with 20 lbs of steel shot. The bag can be laid on top of the wingtip, or for gliders with winglets, one of the handles can be looped around the winglet. They are made of 1000 denier Black Textured Nylon with a water resistant polyurethane coating on the inside, triple sewn with a safety strip at the bottom. 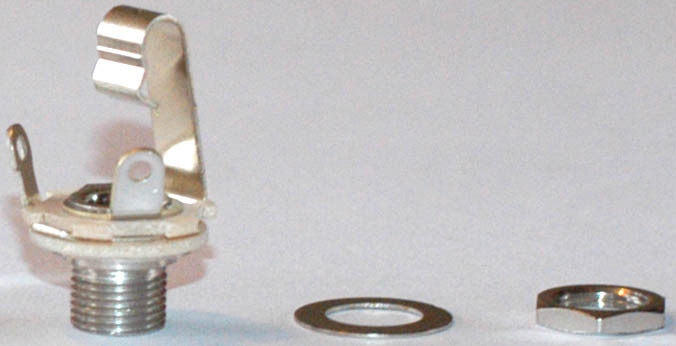 The steel shot is encapsulated in a 6 mil poly inner bag, which is heat sealed. 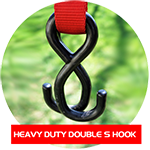 They include both a carry handle and a butterfly handle of polypropylene webbing. The 2 handles make it very easy to carry. 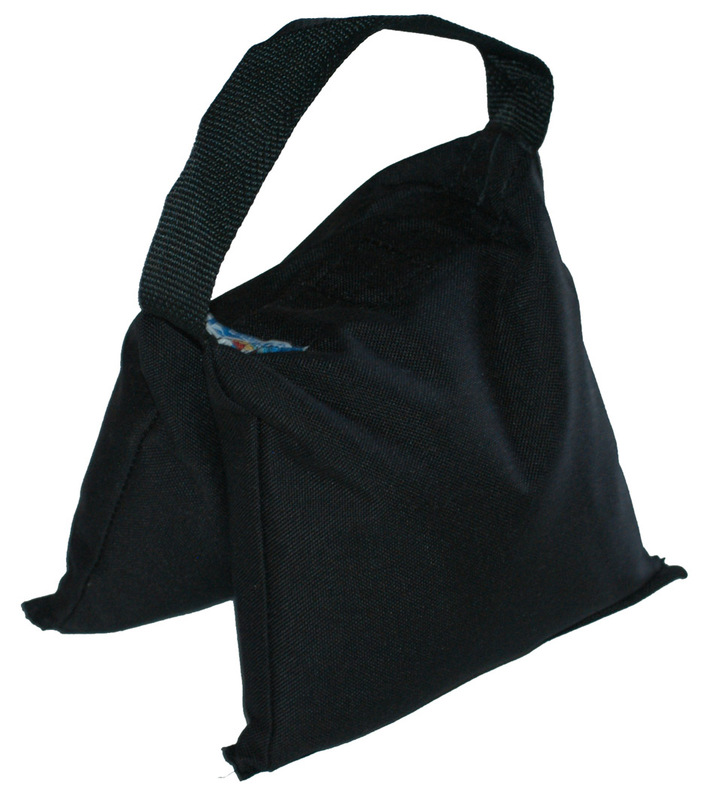 This weight bag is perfect for holding the wingtip of your glider down while on the ground. 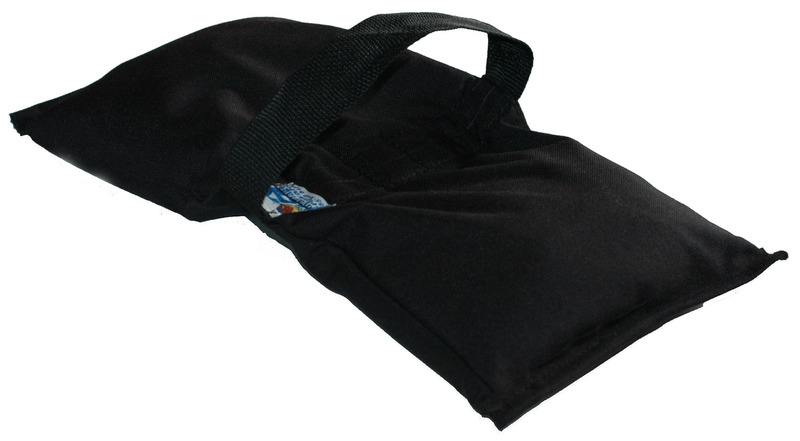 It offers a rugged carrying handle. 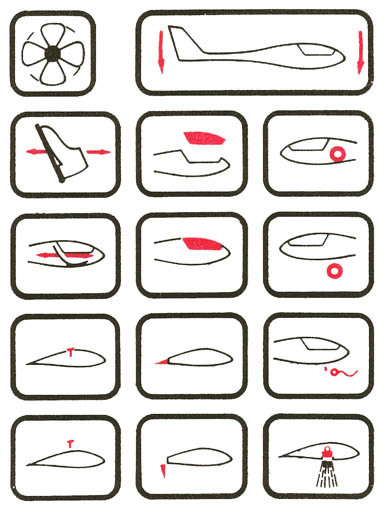 The bag can be laid on top of the wingtip, or for gliders with winglets, the handle can be looped around the winglet. 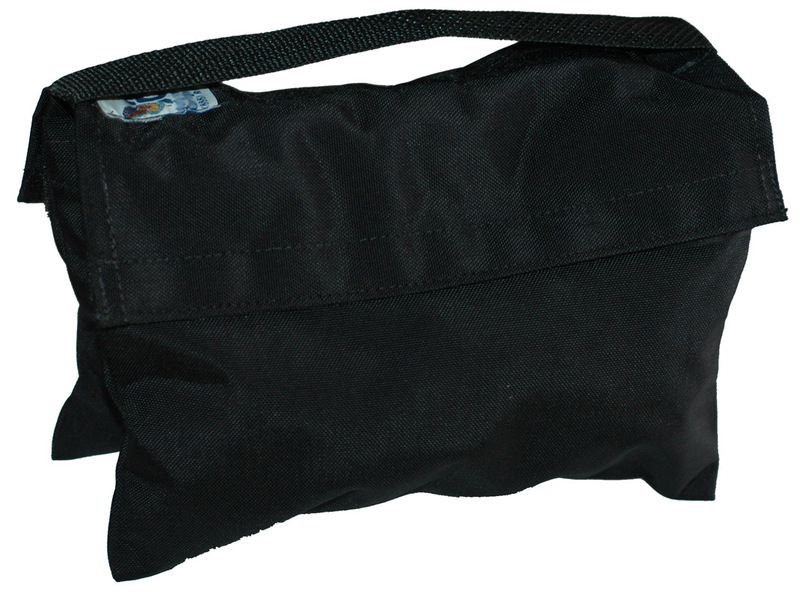 It is small and lightweight when empty so it can be easily stowed in the glider for use in the event of an off-airport landing. It is delivered empty. It can be filled with 15 to 20 lbs of steel shot, or sand, or dirt, or gravel, etc. 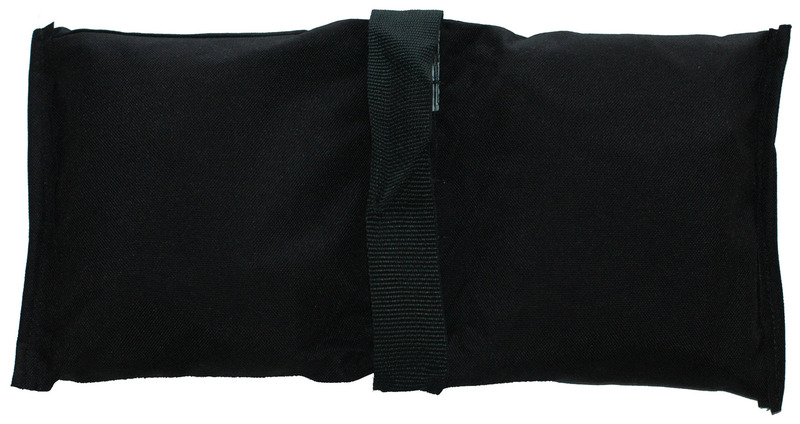 It is made of 1000 denier black textured nylon with a water resistant polyurethane coating on the inside. 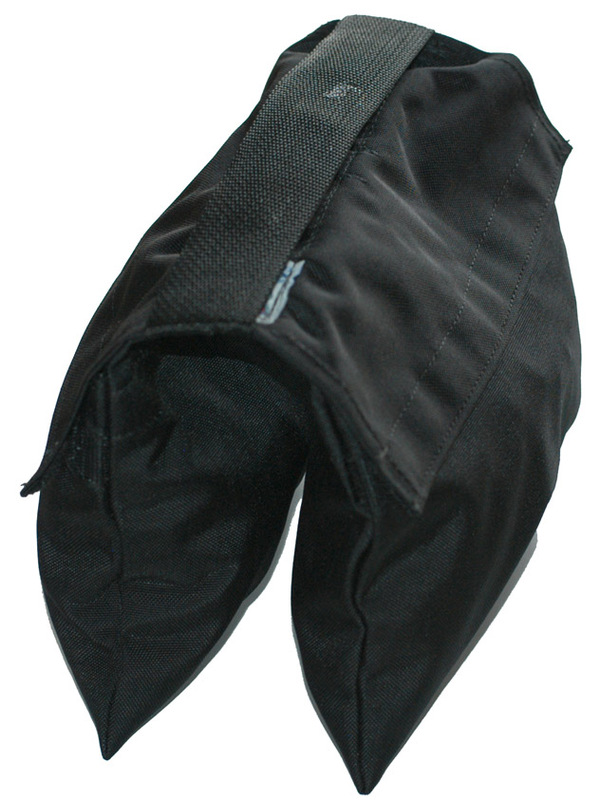 Two sets of Velcro closures on each side of the saddle-shaped bag are used to do a doubly good job of locking in the user supplied sand, dirt, steel shot, or gravel. 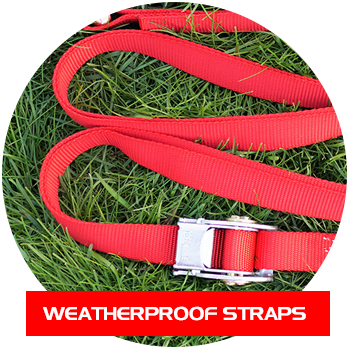 The Velcro closures are much better than the zippers found on similar products - because zippers have sharp edges that could scratch your glider. This product is not intended to be filled with water. Note: Current versions have a teal colored handle.